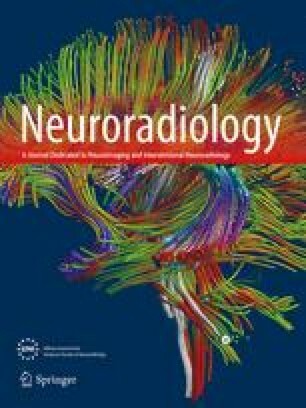 We describe MRI of the brain in 19 patients with ataxia-telangiectasia (AT) and correlate the appearances with the degree of neurologic deficit. We examined 10 male and nine female patients; 17 were aged between 2 and 12 years (mean 8 years) but a woman and her brother were 35 and 38 years old, and had a variant of AT. Ataxia was the first recognized sign of the disease in every patient. We detected the following patterns of cerebellar atrophy: in the youngest patient, aged 2 years, the study was normal; in the five next youngest patients 3–7 years of age, the lateral cerebellum and superior vermis showed the earliest changes of atrophy; and all but one of the other patients had moderate to marked diffuse atrophy of vermis and cerebellar hemispheres. There were 12 patients aged 9 years and above; one, who was normal, was 9 years old. The five patients who at the time of examination were unable to walk all had diffuse atrophy involving both vermis and cerebellar hemispheres.